It was written by LadyAries on February 24th, 2015. 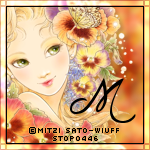 I am using the adorable art of Mitzi Sato-Wiuff. Store is unknown at this time. Over in your materials palette set your colors as follows. Set your foreground color to #c14410. Set your background color to #ffb75f. Now set your gradient with these settings. Flood fill your canvas with your gradient. 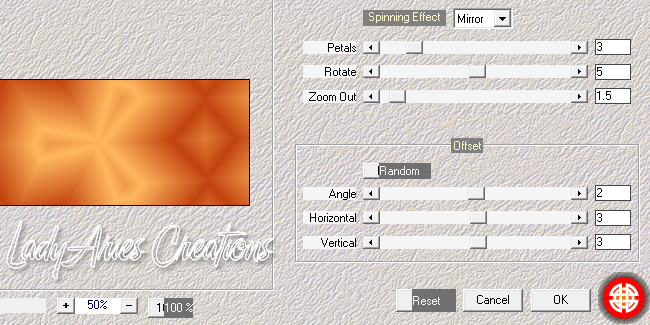 Use your Mehdi Kaleidoscope 2.1 with the following setting. Use your Mehdi Grain Natural 2.0 with the following setting. Copy & paste your tube to the right side of your tag. Add your drop shadow to this layer. V3 H3 O25 B5 black. 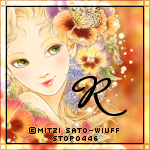 Resize word art 60 percent, copy & paste to the left side of your tag. Merge visible and use your AAA Foto Frame with these settings. 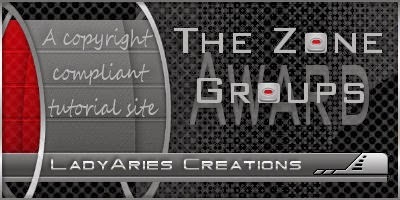 Apply the correct artist copyright and license info and save as a PNG. Repeat steps from above for your background layer. 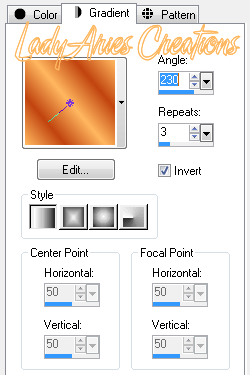 Resize tube 40 percent-mirror, copy & paste to the left side of your avatar. Merge visible and repeat steps from above for your boarder. Now add your name to both tags and merge & save.